I fell in love! It was romantic, it was beautiful and I wanted it for my 10th wedding Anniversary, renewal of our vows ceremony in August! I’m sure every Bride knows that feeling when they find the one! You have to have it. It has to be yours and you’ll do anything to get it right?! That’s exactly how I felt when I saw this shoot. 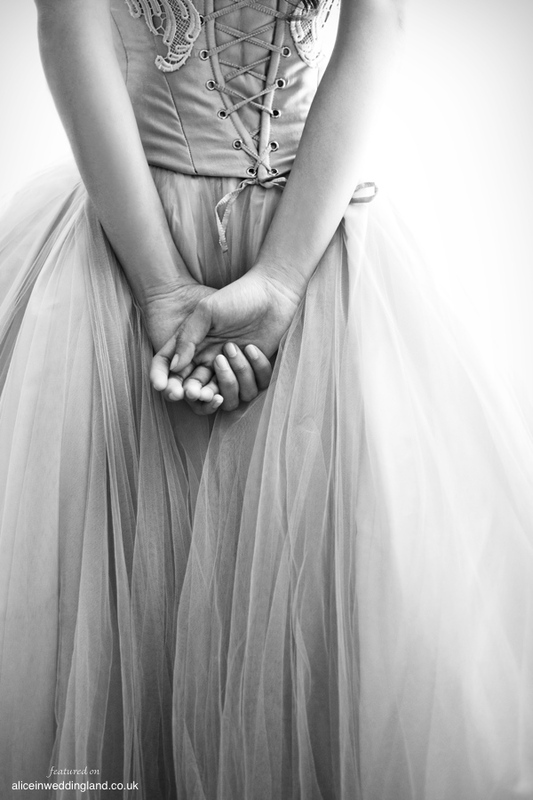 I could already feel it draping around my feet, the soft fabric subtly hugging my body as the ribbon tickled my back. My wedding dress dream had to come true. So what does the dress look like and who is the designer? 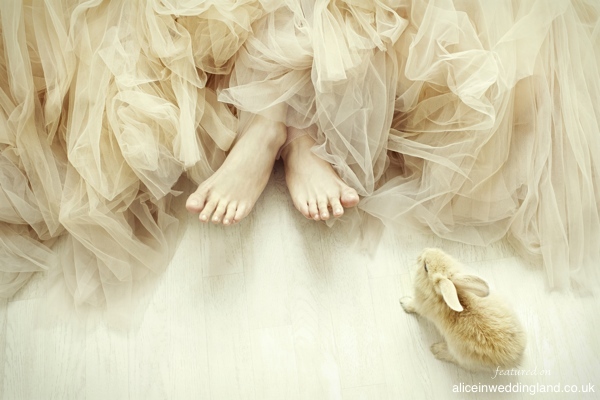 Here it is, photographed by the immense energy that is Axioo Photography and wrapped up nice and pretty with some gorgeous little bunnies (one of them is even the same colour as the dress). I have ‘oohed’ and ‘ahhhhhed’ for weeks now and still do every time I look at the photo. I am on a mission to have that dress and I just hope I manage it. Designed by by the irrepressible emerging talent that is Melta Yani I have all my fingers and toes crossed that somehow this dress will make its way from Indonesia to the UK. I never expected to fall in love with a wedding dress while planning the renewal of our vows for this August. Ten years – whooompaa! And to celebrate we’ll be writing our own vows to each other (I haven’t told Rob yet whoops). And he doesn’t’ know that I want to wear this dress to do it! As beautiful as the photo shoot is, I am now on a mission to attempt to find the dress or maybe I could design a similar one and have it made – anything so I can renew my vows with in August in my dream dress. I had the wedding dress of my dreams, I got it made! It was a beautiful peach/champagne flurry of layers. And it flew all the way from Indonesia to me and I wore it like the beautiful Bride I’d always wanted to be when we got married. I spent an entire day in this dress and I felt truly beautiful, trull amazing! Check out the photos from The Vow renewal ceremony to see it. Love this dress and the shoot, I’m a wedding dress designer based in West Sussex and I would be delighted to create a similar dress for you. I won’t copy a dress but we could design something together. Tulle is very on trend and colour is simply stunning. Just perfect for a renewal of vows. I’m really wanting this dress for my wedding, can I have the email address for Malta please? I LOVE this dress too !!!!!! That dress is absolutely stunning, right? I love it. And the bunnies. I remember seeing the shoot and going all misty eyes over it. Tee hee! Well done you on finding it. Good research skillz! I cannot tell you how long I have been looking for this dress!!! It is absolutely stunning:) I can’t even remember when I first saw a photo of this dress, but I fell in love immediately! Your research skills are very impressive!!! 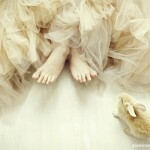 I really like the dress and the shoot…!! I was searching something like this. I NEED THIS DRESS!!!!!! PLEASE HELP ME!!! I CAN’T STOP DREAMING OF THIS DRESS!! I GET MARRIED SEPTEMBER 21ST. 2013 IN BANFF, ALTA., CANADA!!! I found the designer it is Melta Yani Please help me Im desperate for this dress!!!!!! Hi there! I was wondering if you ever got the dress of your dreams. I too fell in love with this dress and found your post through google image search. I would love to find one like it. My fiance is also totally obsessed with the design. 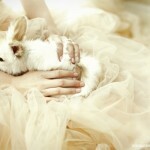 I Zarn, if is possible i want to ask you the price of this wonderful dress! I hope that Melta Yani can fulfill my desire too! Thanks for getting in touch. I know, it’s such a dreamy dress isn’t it. Unfortunately I can’t give you a current price for the dress as it was made specially for me by Melta. Do get in touch with her via her Pinterest page (https://www.pinterest.com/meltayani/) and let her know you found her through me. She’s such a gorgeous woman to work with. Good luck with it all!! I do hope you find your dream dress!!! I love this dress! 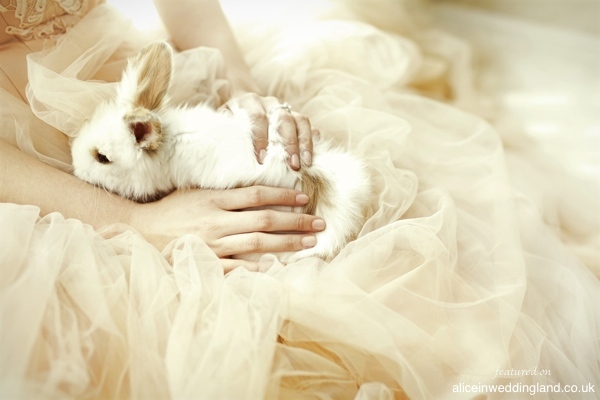 Do you think it is made of tulle? I relly never did like that type of fabric…and it seems very stiff….this fabric does not seem stiff. I wonder how much it would cost Melta to make one and send it to the USA. Have you had one made yet? I also wonder what it looks like in white. You are so sweet & generous with your story & info on your amazing dress. I read where you offered to get another bride the designer’s contact info. I have also seen the dress & was so touched by how lovely it is. I would love to see what similar styles she may have. If I may also ask her the designer’s contact info I would be so grateful. I need this dress!!! How can I get a hold of the info to get it? I have been searching forever to try to find it! Thank you in advance! OMG I have totally fallen in love with this dress!!!!! can you please forward my email address to Melta and ask her to contact me? I msg her via facebook but not sure if she checks her fb regularly… i will be in Jakarta for only 4days next week from 19-22 Feb so I’m hoping that I can meet up and talk to her directly. Thanks for your help and thanks for posting this!!! I fell in love with this dress the minute I saw it…it is definitely the one. How do I find it??? First & foremost thank you for falling in love & finding this dress. I’m finding myself on the same hunt as you! I recently got engaged (yay!) & this gown is perfect for my fairytale outdoor wedding, Could you please email me with details to my personal email address? So many questions.. (sorry!) Can it be tailored exactly like the photos shown in this shoot? I love the tattered ends and ombre effect most and need to make sure that will be the same. I’d also like to know what fabric the bodice is because in these photos the bodice looks different than the dress you had made. It seems like it may be a dream to good to be true to have it made from a different country.. and the price will also matter. Thanks for much for any and all of your help..I’m in love! I’m sure i am going to echo all of the above posts, but absolutely have fallen in love with this dress. I did my own research by searching the image and sifting through multiple images and by luck came across your page with all the information i was looking for! I’m planning not get married in the next 18 months. i noticed you have a link to Melta Yan’s Facebook, page, but didn’t think i should just email her, i hoped you could advise me of how best to approach her. If you could give me a guide price of the cost of the dress in a private email it would be helpful. You looked amazing in the dress on the day you renewed your vows! I would be grateful for any help or advise you could offer me. Thank you for your time. God I adore this dress. Please please please can someone post the guide price for us all? Hello Zarn! Thank you SOOOOO much for this post, as I’ve been looking everywhere for this dress too! Would you mind forwarding me Melta’s email address? Or possibly send her mine? Thank you so much! And may I ask how much you paid for the dress (or what kind of price to expect)? Thank you thank you thank you Zarn! Thank you so much for sharing our beautiful story and also all of your hard work tracking down the very talented designer of this beautiful dress. I too was wondering if it would be asking too much of you to forward my email address on to Melta so I could talk to her about this dress? Thank you in advance for your help 🙂 I was also wondering if you could email me and let me know what to expect. My fiancé has chosen this dress as his absolute favourite and I would dearly love to surprise him with the real thing. Is it possible to see if Melta Yani could create this magical masterpiece for me and make this dream come true for us? LOVE LOVE LOVE THIS DRESS!!!! Is there a way I can check to see if Melta would be able to make a similar dress for me? I’m not sure if I could afford it, but I really really want to check and see. Love your story!!! I am also foaming at the mouth for this dress. I did email her and am anxiously waiting to get a response. Fingers crossed!!! She is probably so sick of making this dress lol. A big love for this dress ! 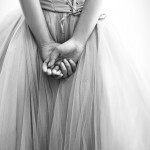 I remember seeing this stunning dress in the original post – it still gives me goosebumps – just so ultra feminine! Is the rabbit included?! I wouldn’t mind that little thing walking me down the aisle! She looks lovely ! great dress ! Interesting dress… I love it! Beautiful photos. They really let the dress speak for itself in this shoot. It looks like it’s from a fairy tale! I love it. Wow, that dress is lovely! Fab shoot! I make bespoke wedding dresses and I LOVE when people come to me with kooky ideas and pinterest boards full! I’m so glad you managed to find THE dress, have a lovely vow renewal! Stylishness,Tradition and Gorgeousness are making fabulous statements ! Simply wow and out of this world. 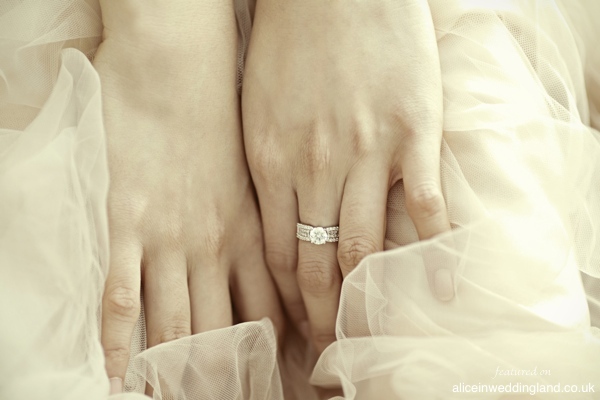 Very pretty imagination of having such a wonderful gift on wedding day.